Meredith Corp. agreed to sell Fortune magazine and its related businesses for US$150 million, furthering the company’s efforts to shed the news-focused brands it acquired in buying Time Inc. The buyer is Thai businessman Chatchaval Jiaravanon, an owner of the Charoen Pokphand Group conglomerate, Meredith said in a statement Friday. He will own Fortune in a personal capacity, continuing a growing trend of wealthy investors snapping up venerable journalism outlets. Meredith sold Time magazine in September to Salesforce.com Inc. founder Marc Benioff and his wife, Lynne, for US$190 million. Fortune was founded in 1930 during the Great Depression -- a few years after sister publication Time -- and its Fortune 500 ranking of corporations became synonymous with big business. Fortune competes with Bloomberg News, a unit of Bloomberg LP, in providing financial news and information. Alan Murray, Fortune’s president, will continue to lead it with the added title of chief executive officer. Clifton Leaf will remain editor-in-chief. Fortune’s new owner has no interest in actively running the magazine himself and plans to pour resources into areas that will help the magazine grow, particularly expanding in China, Murray said in an interview. 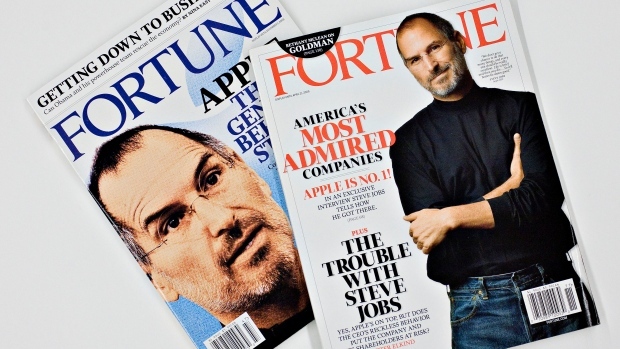 Fortune’s sales last year were less than US$100 million and had declined in recent years as revenue from print has been shrinking, Murray said. The magazine is on track to post US$10 million in earnings before interest, taxes, depreciation and amortization this year. More than 60 per cent of the magazine’s revenue comes from digital advertising and conferences. Des Moines, Iowa-based Meredith bought Time Inc. earlier this year, saying it would sell the company’s news and sports brands, Time, Fortune, Sports Illustrated and Money, to focus on female-targeted lifestyle titles that fit better with Meredith’s existing magazine stable. The company said it would use the Fortune proceeds to pay down debt.